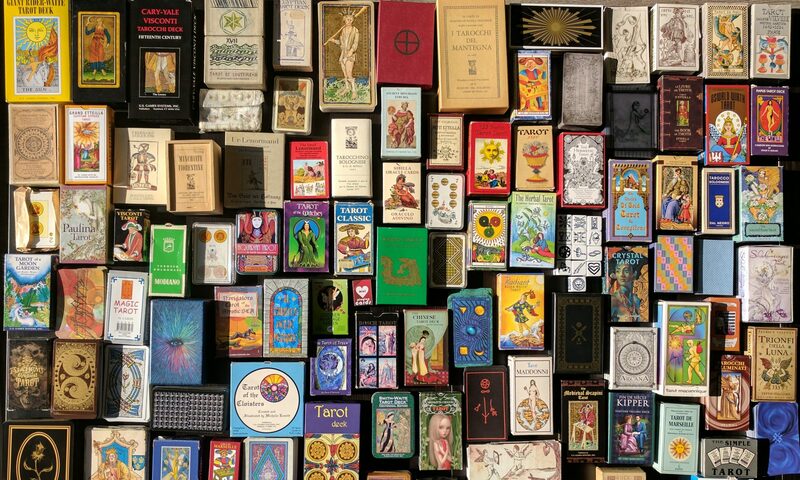 Tarot, and other types of cartomancy deck for that matter, are understood in different ways by different people, depending on their beliefs about various things such as deity, the supernatural, psychic abilities and so on. There are a wide range of opinions, some think they’re a way to receive messages from divine beings or guides, others think they’re a psychological tool, for some they’re a mystery, they just work without us having to understand how. For some people looking for readings, the beliefs of the reader matter, and for others they don’t. I thought it would be interesting to share my own thoughts. Firstly, I’m an atheist. I don’t believe in any kind of deity, god, supernatural being or spirit. I don’t think there are angels watching over us, or guides trying to send us messages. I don’t think the universe wants the best for us, or has the ability to want anything for that matter. I’m also pagan. Some people think that these two beliefs are incompatible but they work for me. I observe the eight holidays on the wheel of the year, I attend a monthly moot and I enjoy pagan symbolism such as the four elements. I also read tarot, of course. These beliefs inform my understanding of tarot and cartomancy systems. As an atheist, I don’t believe I’m receiving divine messages from deity or guides. As a pagan, I believe that the symbology encoded into tarot is valuable. For me, the cards are just that, cards. They’re not inherently magic or special, but the pictures on the cards speak a language of symbolism that can be interpreted and provide insight into people and situations that may not have been considered otherwise. I read tarot because I enjoy delving into the symbols and exploring how they apply to situations I find myself in, decisions I have to make, relationships, emotions, problems and whatever else I’m thinking about. I also enjoy reading cards for others, and discussing how they see the connections between the cards and whatever is happening in their lives. It can be anything from a bit of fun to a serious exercise, depending on who the reading is for, how much time we’re spending on it and how serious the question or issue is. For serious readings, exploring how the symbols on the cards correspond, or don’t correspond, to the situation can help you to understand how you feel about it. Sometimes it helps you to see things from a different perspective, which can be enlightening. Sometimes you discover that you disagree with the message that the cards seem to be giving, and that’s another way you gain insight into your views on the situation you’re examining. Other times, the cards seem to back up the choices you’re making and the way you feel about things. You can also try viewing the situation from the perspective of the people depicted in the cards, or try to see how the values depicted in the cards related to the issue. For less serious readings, it can be fun to notice synchronicity between the situation and the cards, without delving very deeply into the meaning. You can get quick answers to frivolous questions, or delve deeply into silly or fictional situations. It’s fun to draw a card for the day and try to notice anything that happens that relates to the card. Of course, you can take this more seriously too if you want to. The point I’m trying to express here is that the symbolic language of the cards can be applied to a range of questions, situations and issues, in a variety of different ways, without the need for any supernatural or religious context or belief. Tarot can be useful, fun and interesting without it being messages from other entities or predictions about the future. I also believe that there’s no reason in particular for the cards to fall the way they do for a reading. There’s no divine intervention, no “it was meant to be”, just the random chance created by the way the cards were shuffled. Because of the universality of the language of the symbols, any card can provide insight into any issue you care to explore. It’s up to you to find a meaningful way to link the meanings of the cards to the situation you’re asking them about. Because different people have different personal associations for some of the symbols of the tarot, different people will interpret the same cards in different ways. If I’m reading for another person who is present for the reading, we’ll discuss what the symbols mean to them as well as what they mean to me. This can give more depth and insight to a reading. There are also different layers of symbolism and meaning that can be explored in each card, and in tarot as a whole. You might notice a particular symbol in a card during one reading, and a different symbol in the same card during a different reading. You could explore just the general meaning of the card, or dig into the symbolism of each part of the image and explore how the various aspects apply to your issue. There are also correspondences between tarot symbology and other systems of symbology, such as astrology, kabbalah, numerology, and so on. Some decks are designed specifically to incorporate other systems, some aren’t. You can use or ignore these associations depending on your beliefs, knowledge or mood. You can create your own correspondences to anything you feel is relevant, for example, fictional worlds from popular culture (there are plenty of decks available if this is your thing), symbolic alphabets not usually associated with tarot (such as runes), or any other system that you feel is appropriate. You can use these associations for some readings but not others, depending on whatever factors you or the querent feel are relevant. The point is, I believe that reading cards is all about matching a language of symbols of your choice to a situation or issue, based on randomly chosen pictures on cards. I don’t believe there’s anything supernatural about it. I find it useful, fun and interesting to read cards for myself and others to explore situations and gain insight. I also enjoy learning more about the symbolic language of the tarot and other systems of cartomancy. Finally, if your views don’t match mine, that’s fine with me. 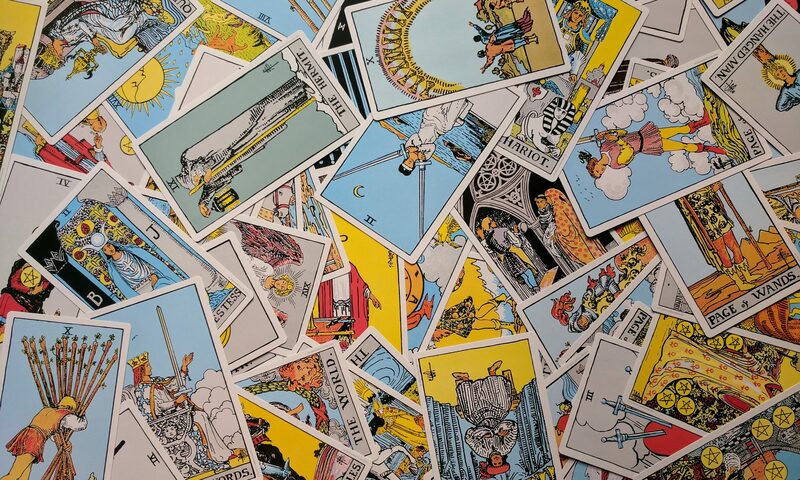 There’s room for a range of views and opinions in the tarot world, and that’s one of the things that makes it so great. The variety of ways of interpreting the cards provides more richness and meaning, and also allows different readers to reject anything that doesn’t resonate with them and still be left with plenty that does. This also means there’s a type of reader available to suit every type of querent. Whether you want a reading that gives you a message from your guides, comes from the gods, tells the future, is psychic, is psychological, is silly or explores what your favourite character would do in your situation. there’s someone out there who will read that way for you. The downside, of course, is that with such variety, it might be difficult to find someone who does read in a way that suits a particular querent!